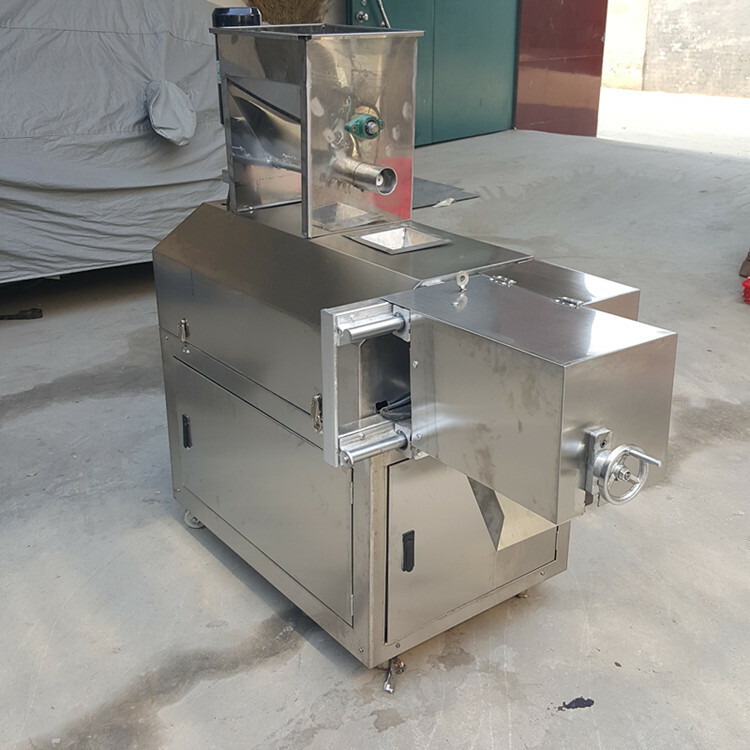 Dog food machine is developed and improved according to the international market.dog food pellet extruder can be adjusted to produce various shapes of pet food for dog,cat,fish,shrimp,bird andso on.It has many production capacities to choose according to your specific requirements. This dog food machine adopts bone powder,fish meal,corn powder and so on as raw materials.The finalfeed is nutritional, multi-shape, attractive, highly digestible which can be loved by your pet and fish.High automatic, easy operation,stable performance,easy maintenance and wide range ofmaterials are the main features of this dog food machine. 1.VICTOR dog food machine is used to produce the food with novel shape, particular taste and color. 2.Scientific nutrition combination catches up the trend of the market. 3.With simple operation, accurate parameter control, the products can be finished in the stipulated temperature, pressure, humidity and time. 5.Owing to the reasonable design, special materials ,the stability, repairs can be guaranteed and ensured. 6.The various shape and taste must meet the different requirements. This dog food machine can process corn flour,wheat flour,bone meal,fish meal,soya flakes meal,rice ,wheat bran,annexing agent etc.Making food for kinds of pet ,such as dog ,cat,bird ,fish etc.